Guest stars, new arrivals, award nominations and a rating surge! It's a great time to be part of the General Hospital family. 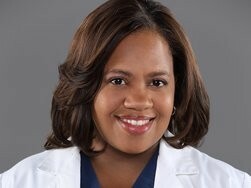 TV Guide caught up with Grey's Anatomy star and longtime General Hospital fan Chandra Wilson, who will appear on GH on Wednesday, Jan. 29. From ABC Soaps In Depth: Congratulations to Tequan Richmond (TJ), who has been nominated for an NACCP Image Award for Outstanding Actor In A Daytime Drama Series. Kirsten Storms (Maxie Jones) and Brandon Barash (ex-Johnny Zacchara) are the proud parents of a baby girl, Harper Rose Barash. Head over to SoapCentral.com for a baby pic! TV Guide shares more exciting news — The Partridge Family's Shirley Jones will guest star on GH on Wednesday, Feb. 5. Deadline.com reports that General Hospital hit its highest ratings in six years, passing The Young and the Restless in viewers.